Drawdio and Dumpster Diving added to Adafruit Academy « Adafruit Industries – Makers, hackers, artists, designers and engineers! 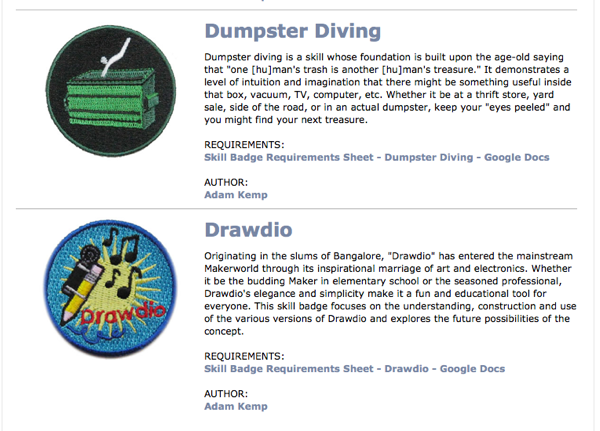 New skill badge requirements sheets for Dumpster Diving and for Drawdio have been posted up to the Adafruit Academy. Download these great resources by high school teacher Adam Kemp and use them in your classrooms.